Hair Update + Bean Boozled Challenge! My hair is still straightened...so I won't have a Wash Day Post until Friday. Yayyyy! To keep you updated, I just got a new job that I haven't started yet. I feel like they are going to call me any day now and say come in and I have been hesitant to wash my hair. Truth be told, that fear stems from me feeling like I will be doing some type of twist out overnight and I get a call. LOL. I have literally been rocking a bun for the past week. However, I have kept my hair wrapped and moisturized. On a side note, I do have a post today that is not hair related. Let's loosen those curls and have a little fun. 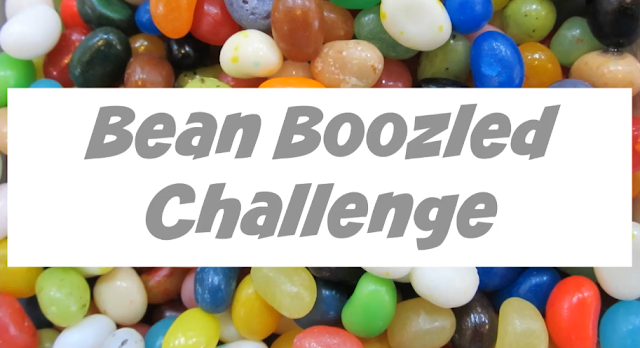 My husband and I recorded the Bean Boozled challenge yesterday and it was hilarious y'all. See for yourself and no more hair shenanigans after today. Your regular scheduled hair posts will begin promptly on Friday. Also, comment on this post what new things you're interested in seeing. Enjoy the video and your Monday too.